Stylish fashions or functional sportswear, unique clothing boutiques or name brand sporting goods stores… you'll find great clothing shopping in the pedestrian friendly shopping areas of Silverthorne, Dillon, Frisco & Breckenridge. 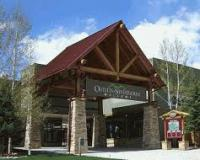 #1 Ski and Board Shops in Summit County. Name Brands at Discount Outlet Mall Prices!